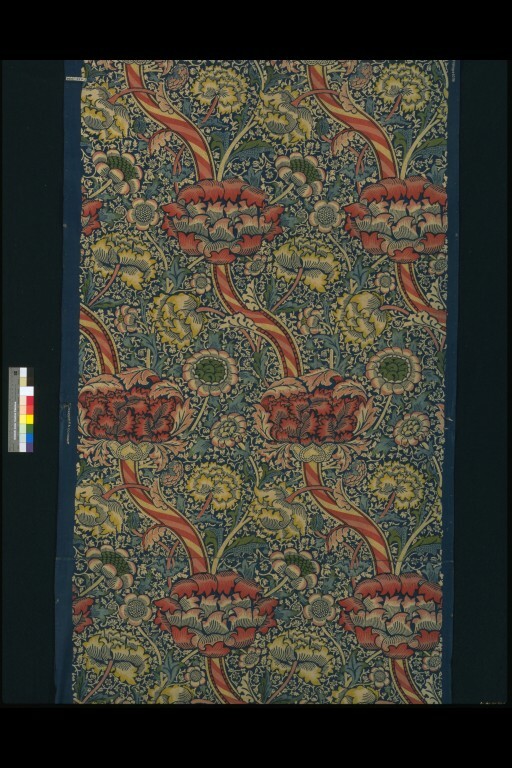 The repeat on this cotton is the largest Morris attempted for a printed textile, and the striped barber's-pole decorative effect has definite medieval origins. However, the main source of inspiration is a Genoese brocaded velvet of the 17th century acquired by the V&A Museum in 1883 (museum no. 442a-1883). 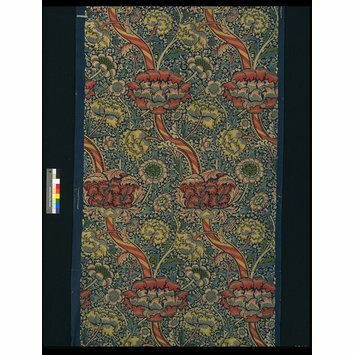 The coincidence in timing of Morris's first drawings with the acquisition of the velvet by the Museum cannot be ignored. 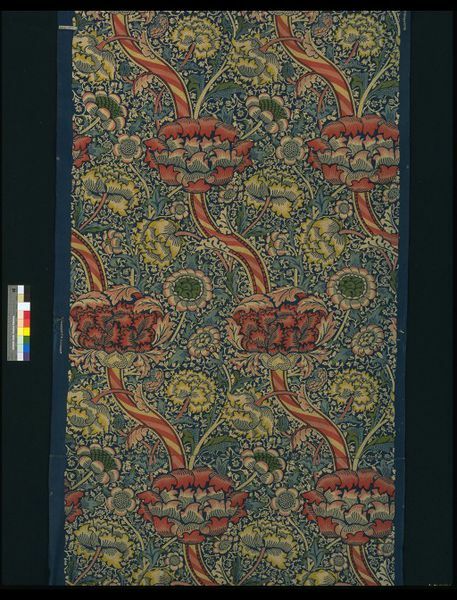 There are also strong similarities in design between 'Wandle' and the Italian velvet, with Morris substituting large stylised chrysanthemum heads for the crowns in the original pattern.